Looking for a stylish comfortable tank top? The innovative Cotton Feminine range from Playtex offers you 100% comfortable T-shirts. The sleeveless white embroidered top is a feminine piece of underwear that will soon become indispensable to you. Its invisible seams make it almost invisible under clothing. You can wear it whatever you're doing. Designed in soft, stretch cotton, it follows your movements and enables total freedom, whatever you're doing. This tank top with refined style features a delicately embroidered neckline that looks so feminine. Choose innovation with the sleeveless embroidered top in white from the latest Cotton Liberty collection. You'll get total comfort every day with this stylish tank top. It looks great with a Mini or Midi brief from the Cotton or Cotton & Lace collections. Take your pick of the different coloured cotton briefs and create your own style. 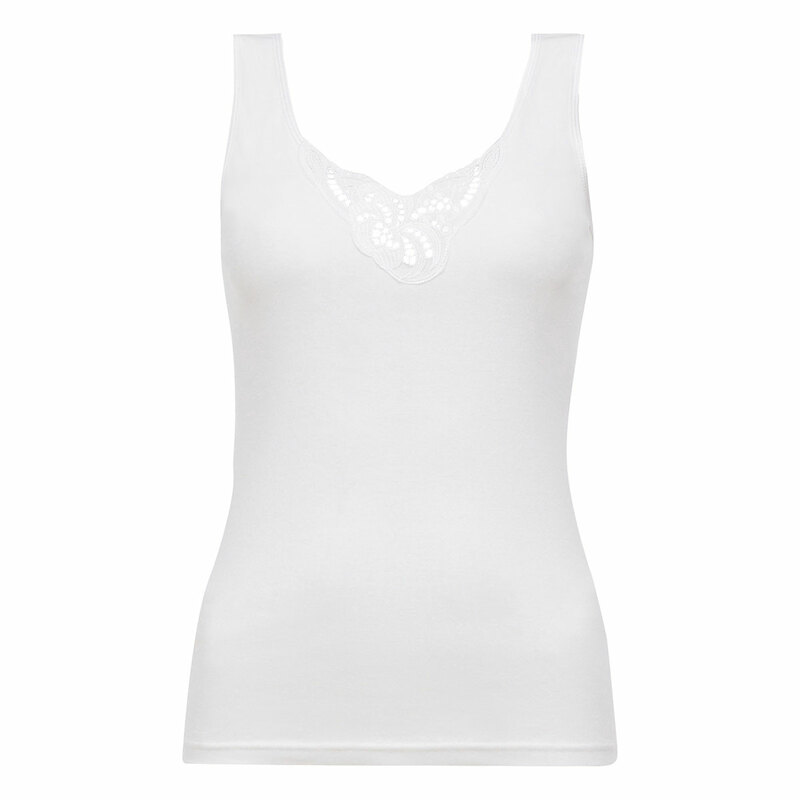 Tank top in White - Cotton Feminine is rated 5.0 out of 5 by 1.